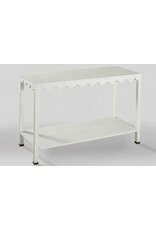 Our Eleanor white and gold console table is inspired by our Eleanor Side table – a customer favorite! 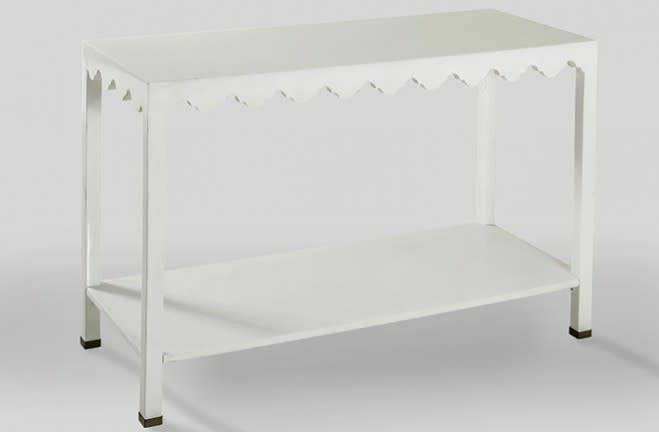 We scaled up the design to create a Parsons style console table with a twist, by adding a softly scalloped apron on all sides and a functional shelf below. 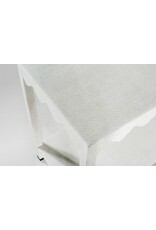 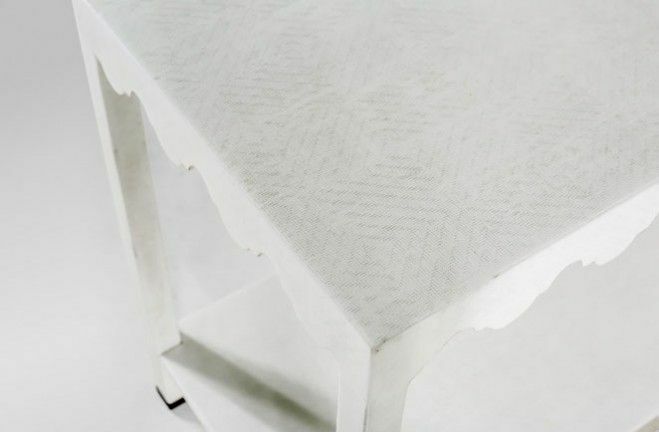 The strong design is softened by the subtle textural lacquered white seagrass and antique brass finish.